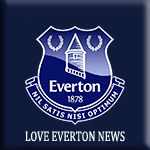 Schneiderlin & Mirallas dismissed from Everton training ? Everton duo Morgan Schneiderlin and Kevin Mirallas were sent away from training on Saturday afternoon due to a lack of effort, according to Sky sources. Schneiderlin and Mirallas were told to leave the training session at Finch Farm by caretaker-manager David Unsworth. 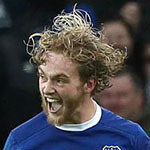 The pair were subsequently omitted from Everton's matchday squad for the 3-2 win over Watford at Goodison Park on Sunday. Both players have been linked with a move away from Everton in the January window. Mirallas has failed to secure a regular first-team place this season, despite signing a new three-year deal in May, while Schneiderlin has struggled to produce his best form since joining the Toffees from Manchester United in January. Mirallas took to social media on Sunday night to provide his fans with an update on his current situation at Goodison Park. The Belgium international wrote on Instagram: "Thank you for all your messages. It's a difficult situation for me, but in life there are things much more serious than my personal situation." Unsworth picked up his first win as caretaker-manager of Everton on Sunday after guiding his side to a hard-fought 3-2 win over Watford. The Hornets appeared well on course for victory thanks to second-half goals from Richarlison and Christian Kabasele. However, the Toffees hit back through Oumar Niasse and Dominic Calvert-Lewin before a 90th-minute penalty from Leighton Baines secured all three points for the hosts. Mirallas has been like this for a while now , and there was a reason Schneidelin didn't make it at Man Utd. Both of them need to go. Schneidelin has been really disappointing for a while. Looks like he's just settled in the team and can't be bothered anymore as he knows he'll get picked anyway. Everton midfielder Morgan Schneiderlin has denied reports he was sent home from training. Schneiderlin and Kevin Mirallas were left out of the squad which beat Watford 3-2 on Sunday after being involved in an incident at the club's training ground a day earlier. Schneiderlin refuted the suggestion he was sent home and insisted he remains fully committed to the club. However, Sky sources understand the pair were told to leave the training session at Finch Farm by caretaker manager David Unsworth due to a lack of effort. He wrote on Twitter: "I have seen press stories today about me 'being sent away from training'. The stories are not true. "I am fully committed to Everton and will continue to work hard for the club and the fans in training and on the pitch." Schneiderlin has struggled for form this season while Mirallas has made just one Premier League start, an appearance that ended with him being substituted at half-time, just over a week ago when Everton lost 2-0 at Leicester. On Sunday Belgium international Mirallas posted a message on Instagram, which has subsequently been deleted, that said: "Thank you for all your messages. It's a difficult situation for me. "But in life there are things much more serious than my personal situation."